The Oscar-nominated Precious star and Empire actress delivers a much-awaited memoir—wise, complex, smart, funny—that is different from anything we’ve read. 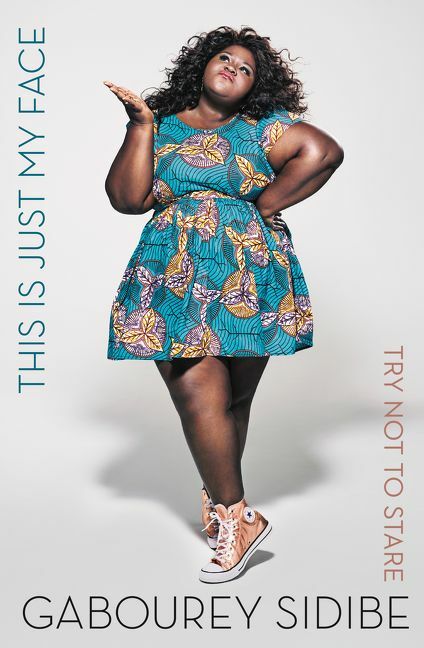 Gabourey Sidibe’s Oscar-nominated turn in Precious (for which she was also nominated for a Golden Globe, Screen Actors Guild, Broadcast Film Critics, and British Academy of Film and Television Arts award and won both The Independent Spirit and the NAACP Image award) brought her into the spotlight. Since then, Gabourey has appeared on SNL (which she hosted in 2010), Conan, Chelsea Lately, Jimmy Kimmel, and Jimmy Fallon; she has been featured in the New York Times, New York magazine, Harpers Bazaar, People, and Elle. She can currently be seen as Becky on Fox's smash hit sensation Empire. She previously starred as Queenie in FX’s wildly popular American Horror Story: Coven and appeared in all four seasons of the Golden Globe nominated Showtime series The Big C. She splits her time between Los Angeles and Chicago.